If you are out to explore Fort Kochi, it is hard to miss St Francis Church. In fact, it was the first place I visited in here. St Francis church will not give you an awesome first impression but the historic weight it carries will blow your mind. 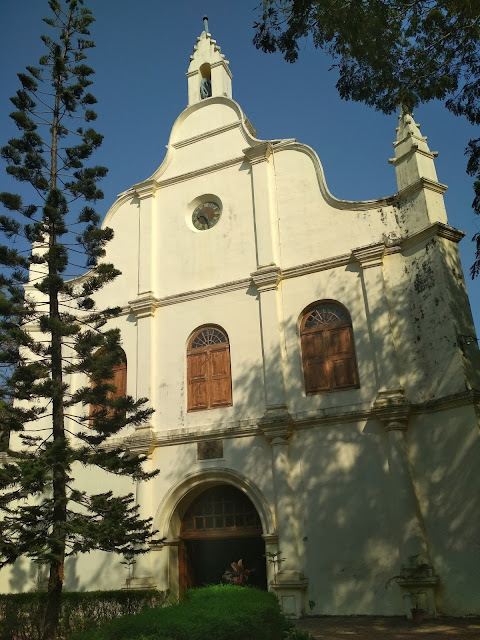 The history of this church is also the history of colonial struggles in India. The Portuguese came to the shores of Kochi in 1503. The then Rajha of Cochin gave permission to build a fort in today’s Fort Kochi. This fort (named Fort Emmanuel) was mainly built with coconut tree wood, stone, and iron bars. Inside this fort, they built a wooden church with the blessings of the Rajha in the same exact place where St Francis church stands today. The church was dedicated to St Bartholomew. In 1506, Francisco Almeyda was given permission by the Rajha of Cochin to build a new city using brick, mortar, and stone. The wooden church was rebuilt in stone and mortar. They finished the construction in the year 1516 and dedicated the church to St Antony. In the year 1524, Vasco da Gama visited Cochin again. He died here on Christmas Eve and was buried in this church. You can still see his tomb inside the church. After fourteen years, his burial remains were taken to Lisbon in Portugal. 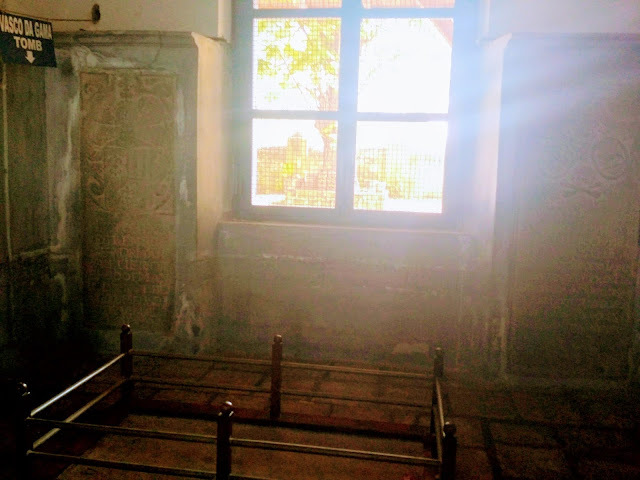 The tomb still has markings in Portuguese. This church was under the order of St Francis until the Dutch came in 1633. The Dutch being protestants ordered all the Catholic priests to leave the county. They demolished all the Catholic institutions including convents and churches except this church. A Dutch cemetery came up near this church. It is one of the oldest cemeteries in India. It is a place where many Europeans who left everything back home to expand their colonial empires are buried. Some changes were made to the church by the Dutch. 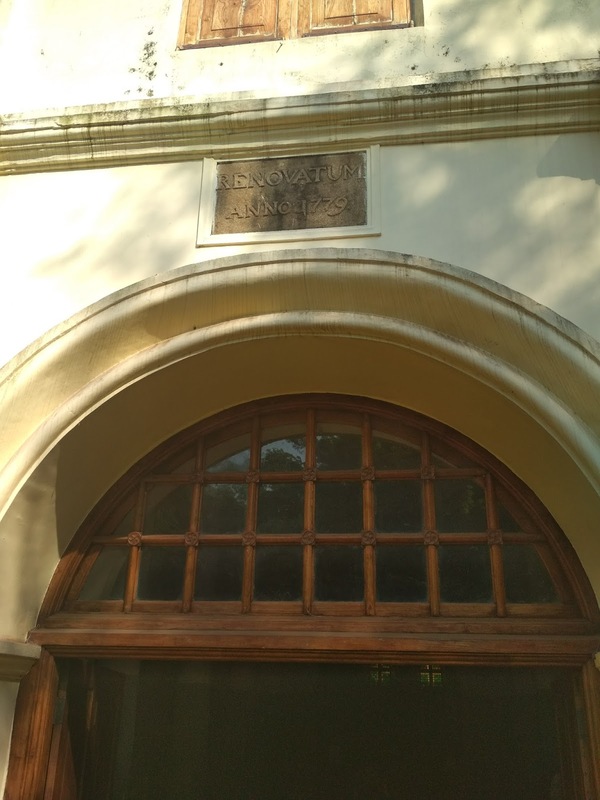 A stone tablet above the main entrance says that the church was renovated in 1779. The British captured Cochin from the Dutch in the year 1724. The church was voluntarily given to the Anglican communion. The patron saint was again changed by the Anglicans to St Francis. From then on, the church was called St Francis Church after its patron saint. 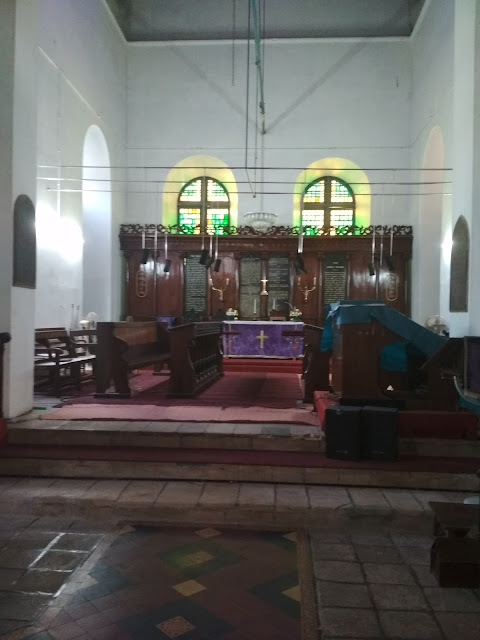 Modifications to the church were made by the British. The Fans and the furniture found in the church today are reminders of the British rule and the Anglican order. 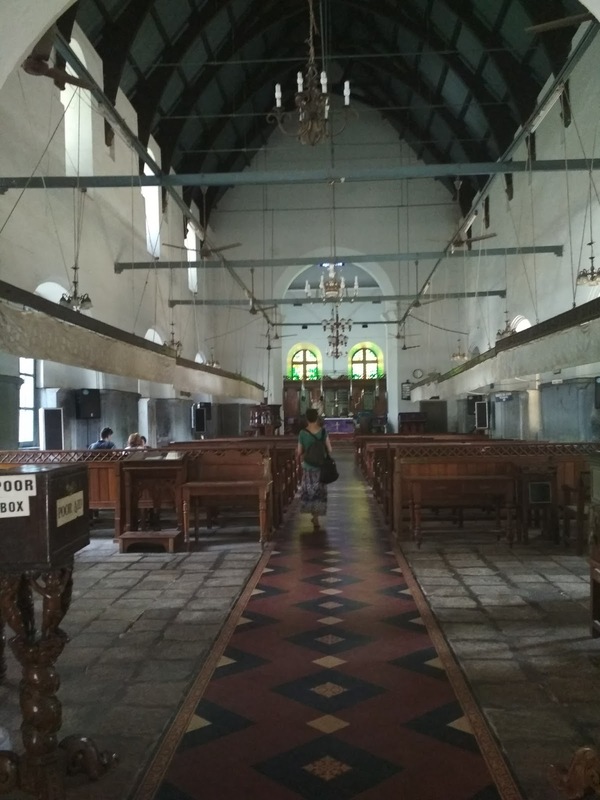 The church is now a protected monument but is maintained by the CSI (Church of South India). There are holy mass and special prayers on Sundays. It is open for visitors during weekdays.